i am woman, hear me rawr! 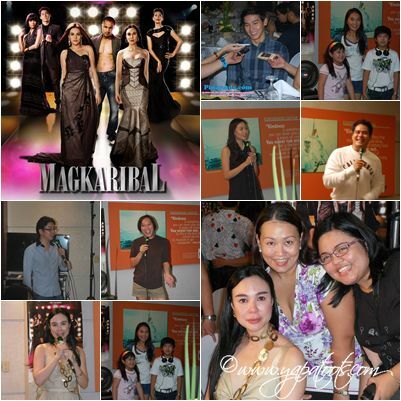 » Blog Archive » Fan Girl Mode On! So, when my dear friend Flow invited me to attend the Magkaribal Victory Party at ABS-CBN last night, I did not hesitate. And yes, nag inarte pa ako at sinuot ko ang aking stilettos. Blue nga lang, hindi red. The only sad part of the evening was that Derek Ramsey wasn’t there 🙁 huhu. Although his character in the show is really not my type, he’s just so….yummy 🙂 Seriously, he’s perhaps the only local artista who makes me swoon. I swear, there’s something about him that’s just so magnetic and charming. In fact, when I drive down the SLEX (which I do on a daily basis), I get all kilig when I see his ads lining up the highway. Ganun ako ka smitten. Anyway, I’m looking forward to the upcoming episodes of the show…I hope it’s as good as how it started!!! This entry was posted on Sunday, August 15th, 2010 at 8:57 pm	and is filed under Television. You can follow any responses to this entry through the RSS 2.0 feed. You can leave a response, or trackback from your own site.